The CMA CGM Marco Polo has just reached the port of Tangier, this Thursday, December 6th at 5.30pm for her 8th call. Present since 1983 in Morocco, the lines of the CMA CGM Group connect Tangier, Casablanca, Agadir to more than 400 destinations worldwide with more than 18 services. 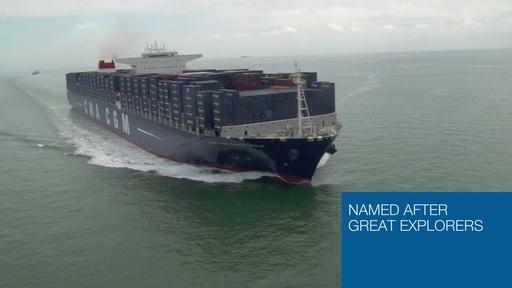 The CMA CGM Group is also a shareholder of the container terminal No. 2 Tanger Med, Eurogate since its creation in 2008. It is also the operator of the 2nd Container Terminal of Casablanca, Somaport.